Lake Malawi can best be settled by mediation rather than war or court battle in order to find a solution that can benefit the two parties. Tensions about rights to the lake that lies between Tanzania and Malawi have been brought to boiling point yet again. Known to Tanzanians as Lake Nyasa but as Lake Malawi to those across the border, the lake is at the centre of a boundary dispute that has simmered for decades. In the latest exchanges, the foreign minister of Malawi has threatened to escalate the dispute to the International Court of Justice in The Hague. The Malawi–Tanzania dispute is a quintessential African boundary dispute with its origins mired in colonial history. Malawi’s position is that the boundary simply follows the shoreline of the lake as established in clear terms by the 1890 Anglo-German Treaty. Malawi says its position is also backed by the 1964 Cairo Resolution to freeze African territories along the borders inherited at independence from colonial powers to cement African unity. The international court itself upheld this view in the Frontier Dispute case between Burkina Faso and Mali. Tanzania disagrees and relies on the tradition within international law that a median position on the lake is the boundary giving both states large parts of the lake. Examples of these include Lake Geneva’s median line between France and Switzerland, the Great Lakes shared between Canada and the US and Lake Chad on the borders of Chad, Cameroon, Niger and Nigeria. The Malawi-Tanzania case therefore presents two apparently irreconcilable positions on the delimitation of Africa’s third largest lake. Unique to this dispute is the way it turns on the question of treaty law versus customary international law governing the delimitation of fluvial bodies. The dispute is no small matter for Malawi as the lake’s geographical space represents about a third of its entire territory. 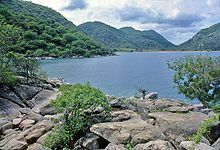 Malawi argues that its economic life, culture, folklore, and sentiment as a nation are inextricably linked to the lake. Tanzania derives considerable value from the lake too. It supports a large number of artisanal fishermen and there are shoreline communities that have ancestral burial places that now lie under the lake. The dream outcome would be an amicable solution allowing joint use of the lake for irrigation, transportation and extraction of mineral resources. Collaboration would mitigate costs and risks and increase the well-being of the people living on the shores of the lake. But the positions could hardly be more starkly different. Longstanding negotiations have failed. The real question is can there be a mutually agreed way forward in such cases outside of the drumbeats of war or the bitterness of a court case? Malawi insists that the delimitation of a shoreline boundary was not a mistake. It asserts that this favourable position in relation to the lake was accorded to the country in recognition of Tanzania’s considerable geographical advantages. Malawi presents itself as a small landlocked and densely populated country. The preferred argument in Dar es Salaam is that the lake is a natural gift which logically cannot be claimed by one party. It argues that the 1890 treaty is inconclusive because of a provision in it that says parties should hold meetings and correct the treaty in the future. The truth is that most African states and boundaries were carelessly carved out as compromises between European colonial powers rather than reflections of the realities of African ethnography or politics. This is so despite overwhelming evidence of precise boundary features and markers separating precolonial African cities, states and political groups. The effects of colonialism linger and produce consequences which include this particular border dispute. Malawi and Tanzania have a common interest in the form of a massive reservoir of the most valuable natural resource – freshwater. There is talk of hydrocarbon deposits but at the very least it is filled with fish. The peaceful resolution of the dispute is therefore, imperative. The two countries decided to seek the support of the Southern African Development Community (SADC) after previous bilateral efforts to find a solution failed. This paved the way for mediation by a team of former heads of state and government led by Mozambique’s Joaquim Chissano in 2012. Since its inception the mediators have interacted with both parties with the aim of deepening their knowledge and understanding the dispute. Progress has been modest. To disentangle the legal arguments, the mediation panel relies on a multi-disciplinary team of experts. They include Abdul Koroma, a former judge at the International Court of Justice. Among the issues they face is the relevance of the 1890 treaty and illustrative maps which are now contested by both countries in true legal tradition. Experts have pointed out that maps are not titles to territory. At best they only represent what is contained in the title. So could the title only come from what is found in the Treaty of 1890 as argued by Malawi? There are hidden dangers in pursuing strict legal rights. While many experts argue that Malawi’s opinion aligns with recent International Court of Justice judgments, there’s always the possibility it could lose all its claims if a court rules against it. At this stage mediation is therefore the more attractive option.